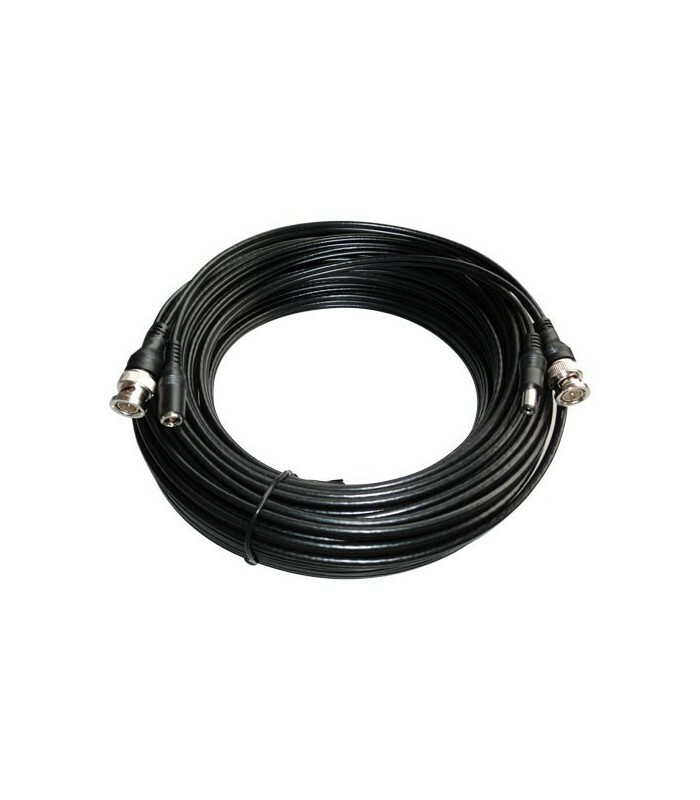 Coaxial cable extension for video and power signals. Combined cable RG59 + 2x0.5. Fixed length of 30 meters, with male BNC connector video at the extremes.